“They are the princesses of punk. They are the matriarchs of metal. They are goddesses of grunge. They were riot grrrls. Now they’re riot moms," Tom Morello of Rage Against the Machine said to the sold-out Roxy crowd as he introduced Babes in Toyland to the stage. 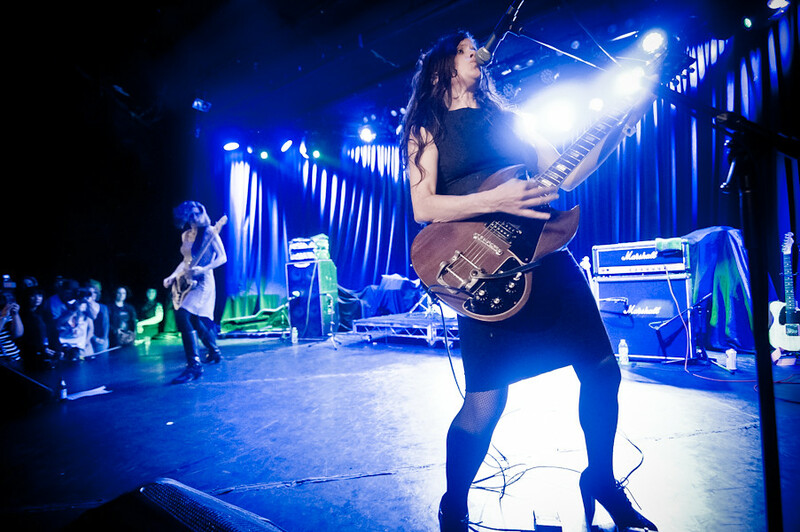 Last week, at The Roxy, Babes in Toyland performed for the first time in 14 years with original members Kat Bjelland, Lori Barbero and Maureen Herman. And I was lucky enough to go to the show and cover it for The Vinyl District. You can check out even more pics and the write-up at Vinyl District by clicking HERE! WHO IS FANCY? SCOOTER BRAUN'S NEXT BIG ARTIST? LOWELL RELEASES NEW VIDEO FOR "I LOVE YOU MONEY"